…this is my word for twentytwelve. Every time I do something, that inner voice within is going to remind me of my word..focus..on the creative side, on the things I love to do, write and say. However many times things may seem blurred in my mind, with my eye’s I can focus, breath and grow. Moving into a new year, I’m back into the swing of Texture Tuesday with Kim Klassen. This weeks theme is ‘nice and easy’, that’s the way we gently ease ourselves into linking each week at the cafe …what will be a year of creativity, new beginnings and lots of learning for me with my photography. Beautiful! Great choice for your 2012 word, also! what a good word for the year! Focus is an excellent word to choose Yvette! Thanks for the visit and follow on my blog! Brilliant word choice for the year Yvette! Great word, Yvette! This is the year for moment to moment successes…faith to faith manifestations of grace. 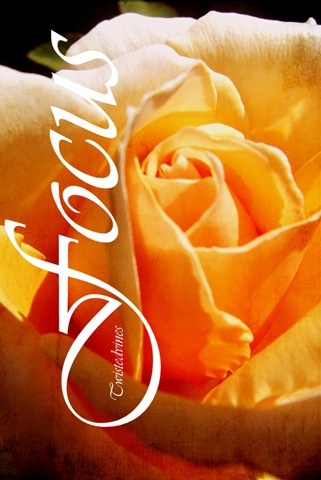 Focus is a lovely word for 2012. A great word and a great idea! Previous PostThe Year that was, what it was….